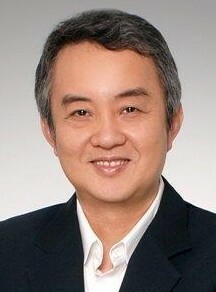 Dr KF Lai is CEO of global mobile advertising network and MEF member BuzzCity. Here Dr Lai assesses the influence of digital mobile technology on our shopping habits, and the challenges and opportunities it presents for modern retailers. The power of social and technology has shifted the focus in marketing to the consumer, with a move from broadcasting content to adopting a strategy that encourages credible and powerful word-of-mouth recommendation. The consumer is increasingly empowered; their voice has an instant digital platform. Most importantly, this power has translated from how products are marketed, to how they’re bought; consumers have a wealth of choice in this omni-channel age and, interestingly, they’re using every single one – at the same time. According to BuzzCity’s latest global survey – there is a new wave of customers leading the way in 2014, with a new set of priorities and shopping methods. BuzzCity surveyed 13,000 consumers across 20 countries on their shopping habits from online and mobile to in–store, which revealed key trends in the way shoppers have adapted to digital commerce. One of the key findings dispels fears that online shopping is to blame for the challenges met by high street retailers: the 59 percent of consumers who shop online also shop in-store. From choosing which product to buy, to how they buy it, the consumer has more choice than ever – but we need a synergy between these channels, not a disconnect. Nearly half of consumers (47 percent) expect to do their holiday shopping online this year, but this does not adversely affect the number of people shopping in-store, with top destinations online and offline being Computers & Electronics, Books & Music and Clothing & Accessories. Contrary to popular belief, price is not the overall deciding factor. Whether shopping in-store or online, consumers look first for variety (33 percent); they then expect products to be well displayed and easy to find (32 percent). Discounts come in third place (24 percent) when shopping in-store and fifth place (14 percent) when shopping online. One crucial finding of this report is that the rise of mobile shopping does not cannibalise the high street; instead, it enhances the shopping journey. End-to-end, customers are using every resource available, both in-store and online, to empower themselves by self-educating on the best price, location and variety. A fifth (20 percent) of those surveyed said that they found it easier to research on their phones rather than ask an assistant. As well as researching, they would also ask their friends and family’s advice while in-store via their mobile – again reiterating the importance of word of mouth. With customers constantly connected, the consumer voice is extremely powerful. An informed customer is an empowered customer, and a connected customer is an influential voice. The real challenge for in-store retailing comes not from the alternatives in available channels, but from the alternatives that the connected consumer has that result in abandoned shopping. Almost a third (32 percent) of shoppers surveyed has left the store because what they wanted was not available or discounted. It’s with this in mind that retailers need to ensure that every channel in their market compliments each other, that the customer can enhance their experience in-store by using mobile to look at further options. A good example of this the 12,000+ retail locations, including those of Walgreens and The Home Depot, offering indoor searchable store maps accessible from a smartphone. Smartphone users can view, search and map products in retail stores, enhancing their shopping experience. By empowering shoppers with a smartphone to find the products they are interested in quickly and easily, it becomes more likely that sales are made because their purchasing intent is more easily met. Digital channels, particularly mobile, have become an intrinsic part of the shopping experience. From finding store locations, comparing product prices, finding coupons, scanning QR codes and taking & sharing photos of products to texting friends about products, and making payments: the phone has firmly established itself in the purchasing process. Retailers can use mobile devices in many ways as a connection between online and offline: offering QR codes with product information and using coupons to drive in-store visits are just a few of them. Mobile devices have become extensions of the way we inform ourselves and transact. Retailers will need to establish a mobile presence and good cross-channel marketing to improve the consumers’ shopping experience and increase conversions. Most of all, mobile devices offer more touch points for businesses to building a relationship with shoppers. Dr KF Lai is CEO of BuzzCity – Follow BuzzCity on Twitter. If you’re a MEF member and would like to contribute an article on any aspect of mobile content or commerce to the MEF Minute, let us know.